ZIMBABWE – Businessman Leo Mugabe has been reported to the police for allegedly trying to take over a multi-million dollar gasification project in Hwange through underhand deals. “This is a new bid. After failing to use a certain company [name withheld] as well as some in the management team, Leo Mugabe has now sought the help of a minority shareholder with a shoddy background to wriggle [his way] into the company,” Hwange Coal Gasification Company (HCGC) buyer Jonathan Samukange said last week. Mugabe’s first bid in 2013 fell flat after major shareholders in the Build-Own-Operate and Transfer (Boot) project approached the High Court and acquired a provisional order which the company’s lawyers Samkange and Venturas said was never challenged. 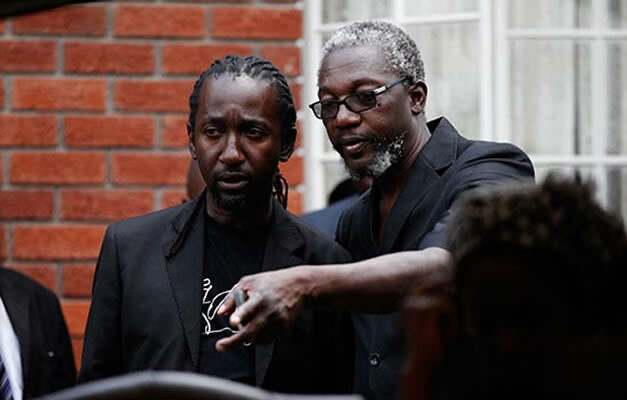 Leo is the son of President Robert Mugabe’s late sister, Sabina. HCGC managing director Guo Feng said one of the minor shareholders had forged papers in a bid to grab the company. “We have since approached authorities because one of the minority shareholders Ma Guixi with 5% shareholding has created fraudulent papers that he has been splashing around in government offices, claiming he just woke up as the majority shareholder,” Guo said. “Guixi is also claiming in the said documents to have fired other shareholders, which is preposterous to say the least. “We understand Guixi is currently in Mozambique trying to sort out his papers because his visa here had expired. Samukange confirmed his clients had reported the matter to the police. “We are seeking to have these people arrested, especially this Guixi guy because documents from China’s company registry show that he owns 5% of Tiyuan Sanxing Company that at the moment owns 75% of HCGC,” Samukange said. “The arrangement is that this is a Boot project that will be handed over to Hwange in 2019. But Mugabe dismissed the allegations and instead claimed he had a standing agreement with Tiyuan Sanxing and by extension owns 25% of HCGC. “I am not using anyone as a proxy, I am not fronting anyone. My company Stewards has a stake in Tiyuan Sanxing and hence the interests in HCGC is up to 25%. I am only an alternate director; this is nothing more than just mudslinging,” Mugabe said. In 2013 Mugabe was accused of interfering in the firm’s day-to-day operations after he was “illegally appointed” to the company’s board. In April 2013 Chinese businessman Su Longim filed an urgent High Court application seeking an order to block a planned annual general meeting. In his application, Longim, whose company Taiyuan Sanxin Economic and Trade Company holds 75% shareholding in HCGC, said the AGM was organised without his consent. Feng last week said Guixi was once again raising allegations that HCGC had externalised funds. “We are very clear that our actions are above board. The agreement we have now is also clear that before there is any share of profits, we are supposed to prioritise paying back the initial investment which amounts to about $30 million,” he said. The Standard was shown documents that Feng claims indicated that the HCGC project and its financial arrangement had permission from the Reserve Bank (RBZ) of Zimbabwe. “It is not easy to take money out of Zimbabwe and everything has to be done through the banking system and with permission from the RBZ,” Feng said.